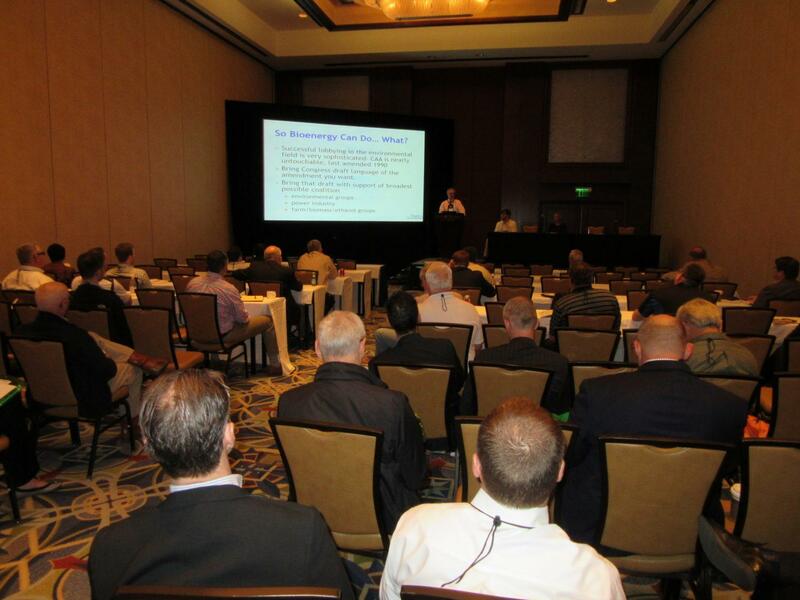 Organizers of the fifth Wood Bioenergy Conference & Expo announced the first wave of keynote speakers as well as the first 25 exhibitor sponsors for the event to be held April 11-12, 2018 at the Omni Hotel at CNN Center in Atlanta, Georgia, USA. Thomas Meth co-founder of Enviva and executive vice president of sales and marketing, will address the company’s position as the world’s largest producer of wood pellets, with sales of more than 2.3 million metric tons in 2016. Meth has led Enviva’s global sales and marketing team since the company’s inception, developing strategies and contracts for utility, industrial and commercial customers in the U.S., Asia, Europe and the Caribbean. He also is responsible for Enviva’s sustainability and public affairs initiatives. Enviva has seven wood pellet manufacturing facilities and two deep-water marine terminals with transatlantic export capabilities. William Strauss, president of FutureMetrics and perhaps the world’s leading consultant and analyst on wood pellets and biomass power, will address North America and international markets and trends. Dr. Rich Vlosky, director of the Louisiana Forest Products Development Center, will provide his highly valued update of the North America wood bioenergy and pellet industries. Clay Crosby, partner in Twin Rivers Land & Timber, based in Hawkinsville, Ga., which may be the largest producer and supplier of raw material biomass in the Southeast U.S., will address his company’s continued growth as well as developments in in-woods biomass production and procurement. “We’re off to a good start,” comments show Co-Chairman Rich Donnell. “We have another four keynote talks to fill, and we’re also making a serious dent into an additional 40 speaker slots that will address a range of subjects and technologies in industrial wood pellets, wood biomass power, in-woods chipping and biomass procurement. Hosted by Wood Bioenergy magazine every other year, the Wood Bioenergy Conference & Expo will feature 70 exhibitor sponsors, eight keynote talks to the general attendance and 40 presentations in three meeting rooms adjacent the exhibitor floor in the Grand Ballroom North. As of early September, drying specialist TSI-Sigma Thermal, air emissions control specialist B&W MEGTEC and in-woods chipper and grinder manufacturer Morbark had signed up as Gold sponsors . Silver sponsors include: Atlantic Combustion, Brunette Machinery, Cogent Industrial Technologies, Con-Vey, Dustex Lundberg, MoistTech, Pallmann Industries, Player Design Inc., Process Combustion, SolaGen, SonicAire, SUGIMAT and Timber Products Inspection. Early Bronze sponsors include Alabama Dept. of Commerce, Flamex, Georgia Forestry Commission, GreCon, Mid-South Engineering, Process Baron, Process Sensors Corp. Wechsler Engineering and West Salem Machinery. The 2016 event attracted 350 ownership, management and supervisory personnel. The complete 2018 agenda will be available soon.